More and more men are shifting away from aerosol and chemical-laden shaving creams to more natural options. 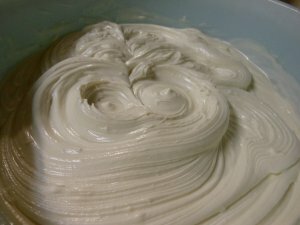 I thought it would be a great idea to make some natural shaving cream for the men in my family, and here’s the recipe. 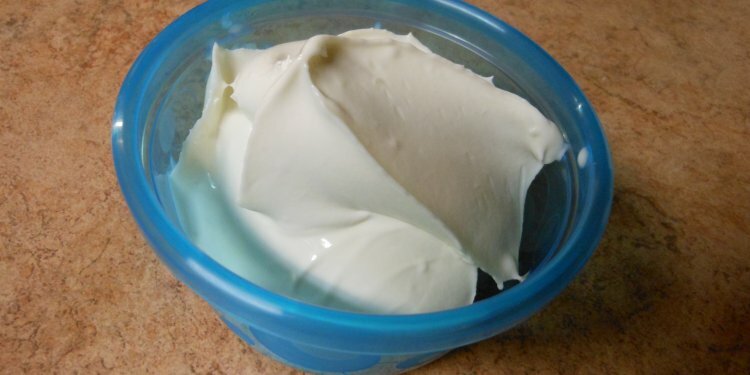 It’s thick, creamy, moisturizing and really wonderful. It’s great for the ladies too! This makes a little over a cup. I made 9 cups in one batch for gifting. The first step is to melt all the ingredients in a sauce pan over very low heat. 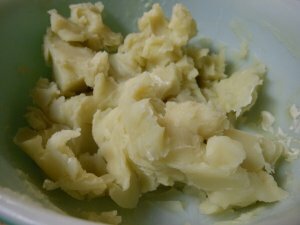 I added about 15 drops of the scented oil (per 5 cup batch) because the natural scent of unrefined shea butter isn’t very pleasant. It didn’t smell like orange when it was done, but it did cut the odor and make it fresh and pleasant. You could use any scent you want. Stir continuously until you just have a smooth, amber liquid. Pour the liquid into steel or ceramic bowls to cool. Put it in the refrigerator until it hardens. If you make a large batch like I did, split it up among a few bowls or it will take a long time to harden. 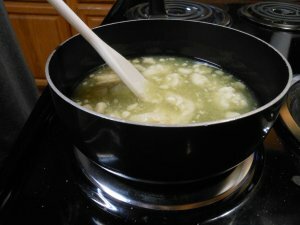 Once the mix has hardened, take it out and use a knife to chop it up into chunks and break it away from the sides of the bowls. Don’t try to skip this step. It really needs to be broken down into chunks. Now for the really tiring part. Use an electric mixer to first break down the chunks, then to whip it. It’s going to take 5-10 minutes. You need to keep whipping, turning the speed up as you go, until there are no more lumps and the mix has expanded into a thick cream. You’ll need to do this in a fairly cool room or the cream can start to melt. Once it’s all creamed up, just portion it off into airtight containers. I used these baby food cups and they’re great. Store it in a cool place. 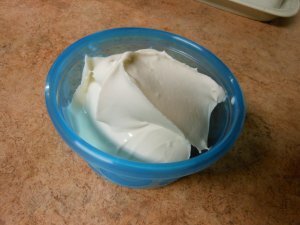 It will hold the creamy texture for quite a while unless it gets too hot. Don’t store it in the fridge though, or it will become a solid and you’d have to whip it all over again. I’ve already used some of this and I liked it. I got a nice, smooth shave and it left my skin soft. My dad enjoyed it too. This takes a fair bit of effort, but I think it’s worth it to have a natural product.